The goal behind last month’s release of KONY 2012 wasn’t to make it the most viral video of all time—though it did achieve that distinction—but to create global momentum that would lead to the apprehension of Joseph Kony and bring an end to the brutality of his Lord’s Resistance Army. The goal of making him famous was achieved in record time, and now Invisible Children is working to focus these massive amounts of energy and willpower by releasing KONY 2012 Part II: Beyond Famous. Narrated by Invisible Children’s Chief Executive Officer Ben Keesey, the new video offers greater context and insight into how and where the LRA is currently operating, and it informs viewers of the next steps they need to take to ensure success. 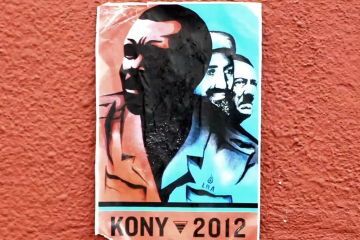 It also directly takes on some of the criticisms that have arisen since the release of the original KONY 2012 film. Accusations that the original video contained factual inaccuracies about the conflict are addressed by providing a very straightforward and precise explanation of the current situation. Complaints that the original lacked ‘African voices’ are countered by a prominent presence of people from Uganda, Congo, CAR, and South Sudan recounting how the LRA has affected their lives. Critics who wondered: “Why now? Why should we be so suddenly called to action when nothing has been done in nearly three decades of war?” are reminded that the obligation to take action is not in fact a novel concept. We as an international community agreed years ago that we have a responsibility to protect—it is simply that our willingness to fulfill this duty to LRA affected communities has never yet been manifested. But with the advent of the KONY 2012 and the resulting media and social frenzy, there is an opportunity for this apathy to be lifted. As Keesey notes in the video, “Support from the international community to stop the LRA is at an all-time high”—the key now is making certain that this support is translated into action. There are several ways for you to follow up and take action: stay up to date with Invisible Children’s lead-up to Cover the Night on April 20, and ask the Obama administration to remain invested in the effort to stop Kony.